Announced on the one-year anniversary of the NEI, the New Markets, New Jobs tour is an interagency, multi-city outreach campaign spearheaded by the Commerce Department, designed to help connect small- and medium-sized businesses with the resources they need to sell more of what they make overseas. Only 1 percent of U.S. companies export, and 58 percent of those companies export to only one country. In a growing global marketplace where 95 percent of the world’s consumers reside outside our borders, U.S. companies and the economy stand to benefit from selling more of their products and services abroad. But breaking into new markets overseas still presents many hurdles to America’s small- and medium-sized businesses: the lack of readily available information about exporting and market research; challenges in accessing export financing; and strong competition from foreign companies and governments. New Markets, New Jobs kicked off in February in Minneapolis, Minn., and made its second stop in Los Angeles in March. New Orleans will be followed by Wilmington, Del. in May. The Small Business Administration, the Office of the U.S. Trade Representative, the Export-Import Bank of the United States, and the U.S. Department of Agriculture are all participating in the outreach tour. Businesses from the New Orleans-Metairie-Kenner metropolitan area exported more than $10 billion worth of goods in 2009, making them the 19th largest metro area exporter nationally. 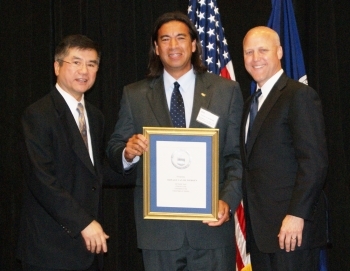 Goods exports from the New Orleans customs district rose 20 percent ($57.0 billion to $68.2 billion) from 2009 to 2010. Photo: Locke recognizes Donald van de Werken, Director, New Orleans U.S. Export Assistance Center, for 20 years of government service as Mayor Mitch Landrieu looks on (credit: New Orleans World Trade Center).